Tax penalties apply to early Roth IRA withdrawals. 3. Can I Contribute to an IRA & Reduce My Federal Taxes? Roth individual retirement accounts provide after-tax growth for your retirement savings. Though overall Roth IRAs offer tax benefits, they aren't right for everyone, nor is everyone even eligible to make contributions. Knowing the disadvantages before you put your money in helps you avoid early withdrawal penalties later on. 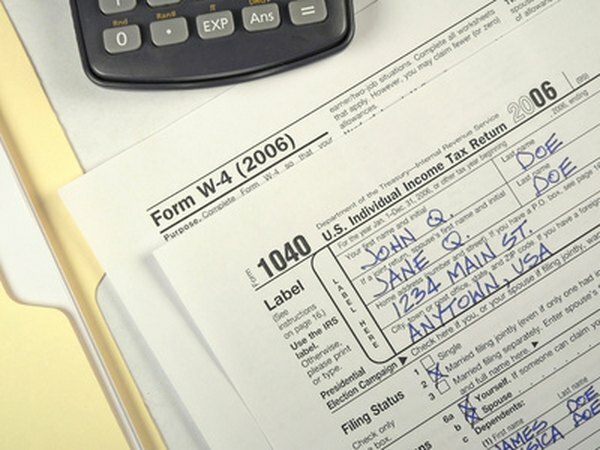 You don't receive a tax deduction for contributing to a Roth IRA. While this disadvantage is balanced by tax-free qualified distributions, this advantage doesn't balance out for everyone. If you pay a higher tax rate now than you expect to pay in retirement, you'll save more on your taxes if you can deduct your contributions. For example, if you're paying a 35-percent tax rate now and expect to pay only 25 percent in retirement, you'll come out ahead making a contribution to a pretax retirement plan, such as a traditional IRA. Any earnings in your Roth IRA can't be withdrawn without penalty until you're eligible for qualified distributions. Qualified Roth IRA distributions don't occur until you've had the account open for at least five tax years, and you're either 59 1/2 years old or permanently disabled. If you think you'll need the earnings before you retire, a Roth IRA probably isn't the best account for you. On the plus side, you can take out your contributions at any time without paying taxes or penalties because you didn't receive a tax deduction for contributing. Not everyone can contribute to a Roth IRA. To be eligible, you must have earned income, and your modified adjusted gross income can't exceed the annual contribution limits. Earned income refers to payments you receive for working, such as a salary or self-employment income, so if you bring in all of your income from investing, interest, or dividends, you aren't eligible. Even if you have earned income, you aren't eligible if your modified adjusted gross income exceeds the annual limits. These limits change each year and depend on your filing status. If you put money into a Roth IRA, you subject yourself to investment restrictions. Roth IRA funds cannot be invested in collectibles, such as artwork, gems, metals or antiques. In addition, you can't invest in personal property with IRA funds. For example, investing in real estate with IRA funds isn't a prohibited investment, but you can't buy a house you'll use as vacation home. Similarly, you can invest your Roth IRA funds in businesses, but you can't use the money to invest in your own store. Can I Invest in a Roth IRA After I File My Taxes? What Is the Best Type of IRA if I Am Retired?